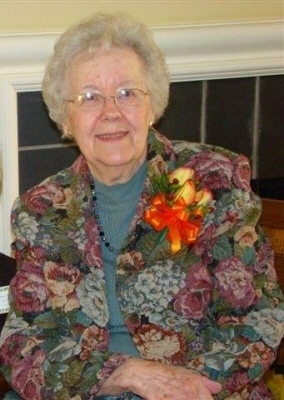 Ina D. (Bolding) Bloomquist died at age 100 on March 30, 2019. Until two months ago, she walked to the mailbox almost daily, aided only by her walker. She had been a beloved wife, mother, Sunday School teacher, vacation Bible school chair person and teacher, Girl Scout leader, and a friend and help to family, neighbors and strangers. She is survived by: daughter, Carol Bloomquist; brother, William C. Bolding; six nieces and nephews and their families; plus other dear relatives including a first cousin, Josephine Martin. Ina was preceded in death by her husband, Vincent E. Bloomquist, her parents, Clarence M. Bolding and Frankie V. (Buffington) Bolding, and her sisters, Boyce (Latty) Norman and Maxine (Bolding) Manus. A visitation will be held on Monday, April 1, 2019, from 5:00 pm to 7:00 pm at A.S. Turner & Sons Funeral Home (2773 N. Decatur Rd, Decatur, GA 30033, phone: 404-292-1551). Funeral services will be held at that location on Tuesday April 2, 2019 at 11:00 am, to be followed by a graveside service at Memorial Park (2030 Memorial Park Road, Gainesville, GA 30504). In lieu of flowers, please donate in her memory to a charity of your choosing. Ina's favorites were: the Methodist Children's Home (1967 Lakeside Pkwy, Bldg 400, Tucker, GA 30084, phone: 404-327-5820); the Salvation Army (The Salvation Army Metro Atlanta Area Command, P.O. Box 930188, Norcross, GA 30003-0188, phone: 404-486-2900); and Missions Ministries at Oak Grove United Methodist Church (1722 Oak Grove Road, Decatur, GA, 30033, phone:404-636-8247). To send flowers or a remembrance gift to the family of Ina Delone Bloomquist, please visit our Tribute Store. "Email Address" would like to share the life celebration of Ina Delone Bloomquist. Click on the "link" to go to share a favorite memory or leave a condolence message for the family.